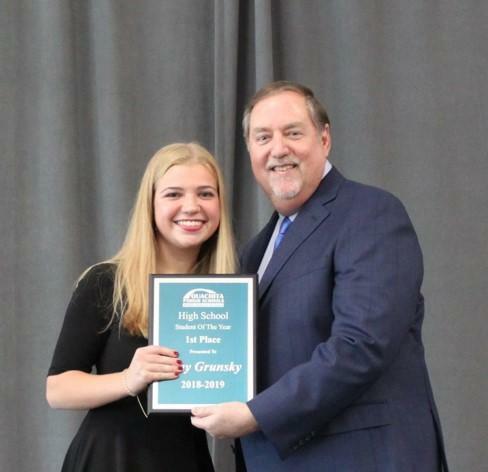 Ouachita Parish is proud to announce that High School Student of the Year Gray Grunsky will continue on to represent the district in state competition. A Sterlington High School senior, Gray was one of 21 students selected as regional finalists in the state's annual Students of the Year competition. 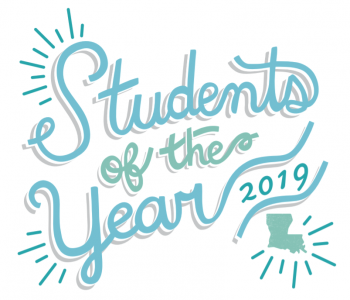 The 21 students selected include one 5th, 8th and 12th grader from each of the state's seven regions and represent public and non-public elementary, middle and high schools across Louisiana. Prior to selecting the three overall state winners, a state selection committee made up of K-12, higher education and community leaders also reviews the students' portfolios and writing samples and conducts interviews with them. Students will compete for state in April. Congratulations, Gray, and best of luck at regionals!